Abbie was determined to give a good gift to a friend obsessed with Hamilton. 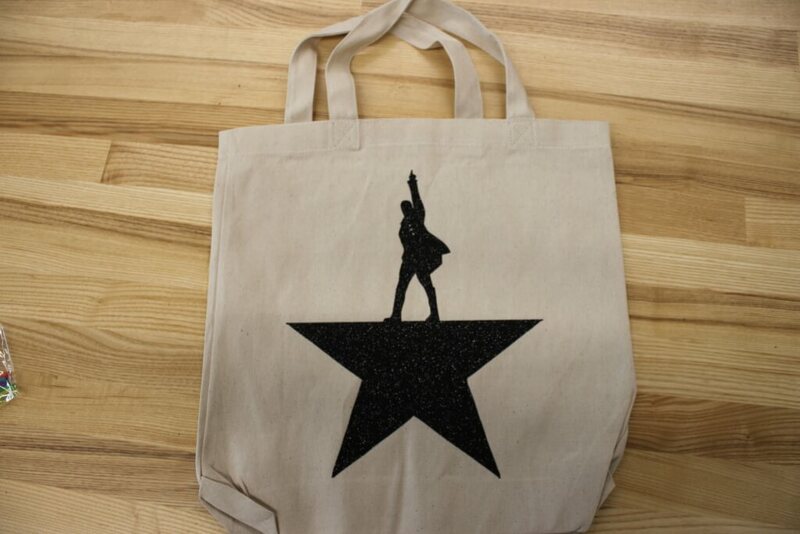 She wanted to heat-press the Hamilton logo on a canvas bag. First, she searched the web looking for the design in the appropriate format (SVG, Scalable Vector Graphic). Unfortunately, the design was not available for free, but was available for purchase at about $2 on Etsy. Forking over the couple bucks, she then used Inkscape to alter the design to be a little better looking and accurate to the original by making certain edges curves and by adding button holes to Hamilton's jacket. 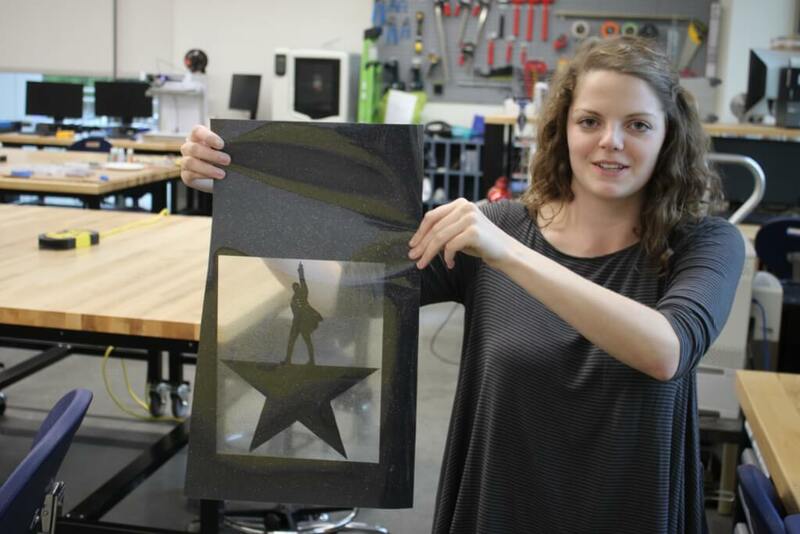 She chose a thick black sparkly kind of vinyl to cut the design on and used the Design and Build Lab's vinyl cutter! All in all, the process took no more than half an hour! 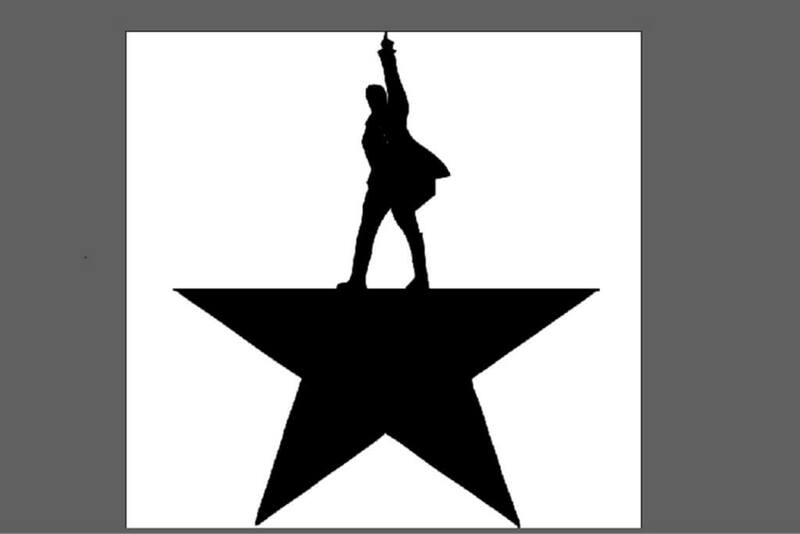 If you like the design of the Hamilton logo, you can get the original and updated version from the Design and Build Lab's Open Repo (https://bitbucket.org/am2182a/dabl-open-repo/src/master/Hamilton%20SVGs/)! Thank Abbie in the comments below for her contribution.